FREE ESTIMATES on repair for most major brands! 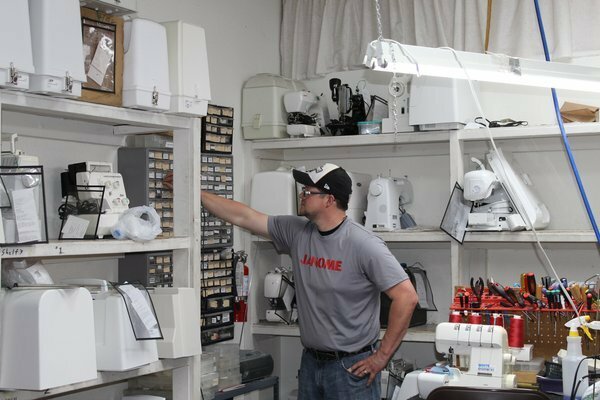 Here at Richland Sewing Center there is NO CHARGE for us to take a look and give you an estimate for your machine! Come in and let us know you are here, we will come get the machine out of the car for you no matter how heavy it is. Repairs are normally done in under a week, and in emergency situations there can be an arranged expedited service. Your machine stays right here in our store and is repaired on site. You can take comfort in knowing that all of our service comes with a 90 day warranty. 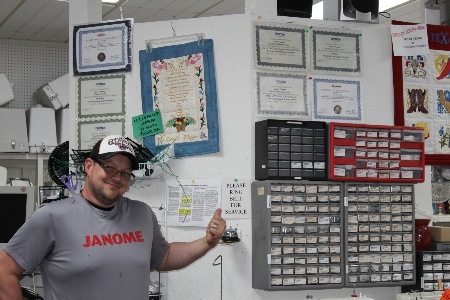 So just stop by and ring James' repair bell, and one of us will be happy to help you.